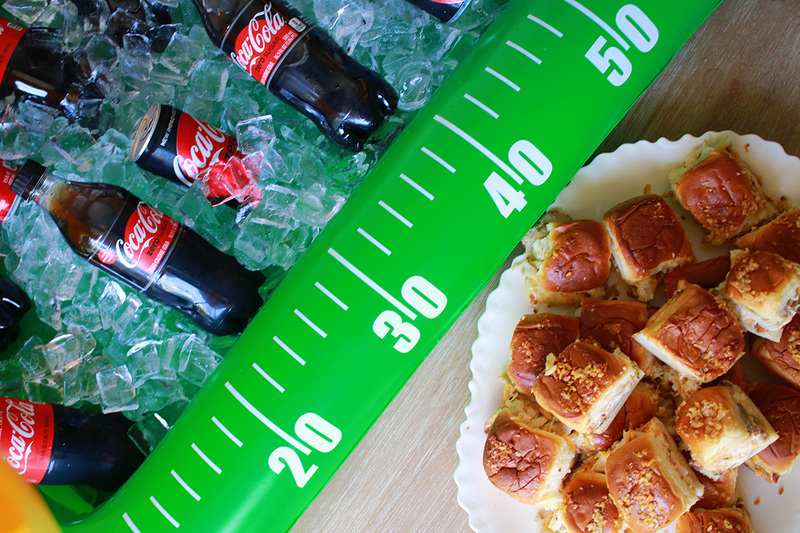 Game day isn’t game day unless I have a yummy slider with my COCA-COLA® ZERO SUGAR. 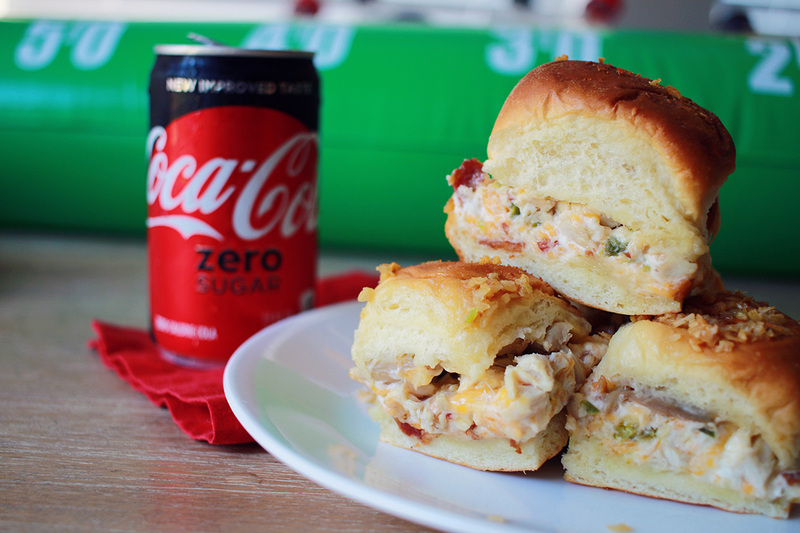 After I had so many people asking for my favorite game day recipe, I just HAD to share these never any leftovers Jalapeño Popper Chicken Sliders! 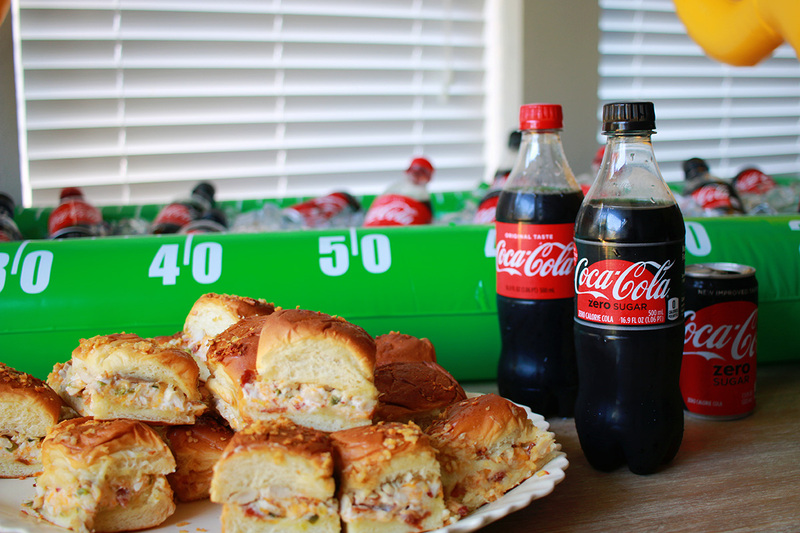 A quick stop to Randall’s & I was able to pick up all my slider ingredients while grabbing my COCA-COLA ZERO SUGAR! I love grabbing everything at one place & not having to dart from place to place! 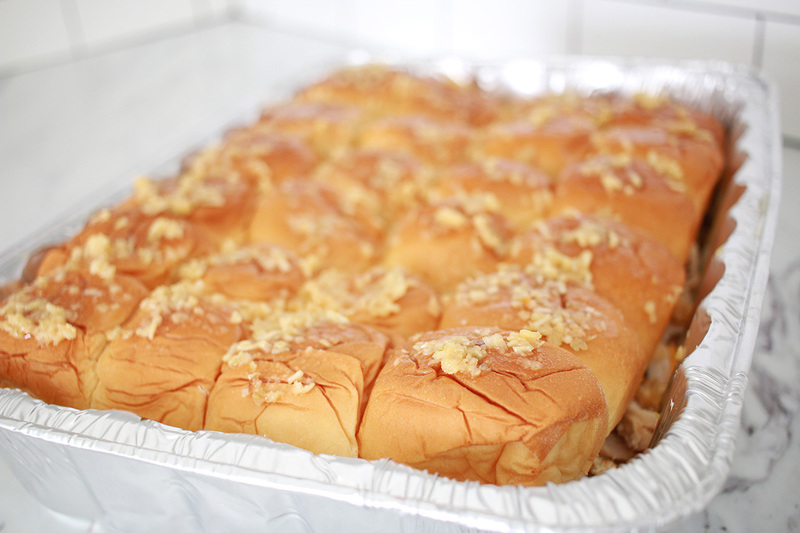 Let’s get started with this recipe that will make your mouth water & your guests asking for the recipe! While grabbing your COCA-COLA ZERO SUGAR, they’re having a great sweepstakes & I have more details at the bottom of this post or you can see how to enter by clicking here. Preheat oven to 400*F. Place bottoms of breads in a pan. Scoop out jalapeno seeds & membranes. Chop finely, cook until softened. 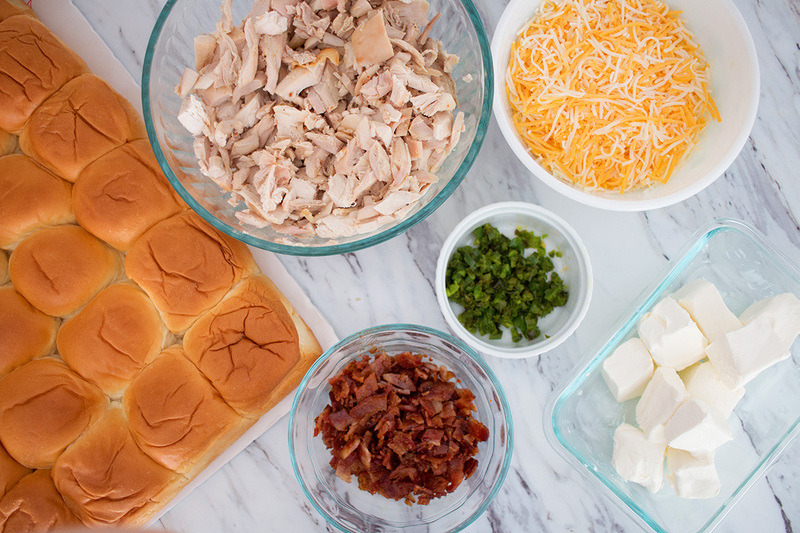 Mix together the jalapenos, cream cheese, Mexican cheese blend & bacon. Spread cream cheese mix on bread evenly. 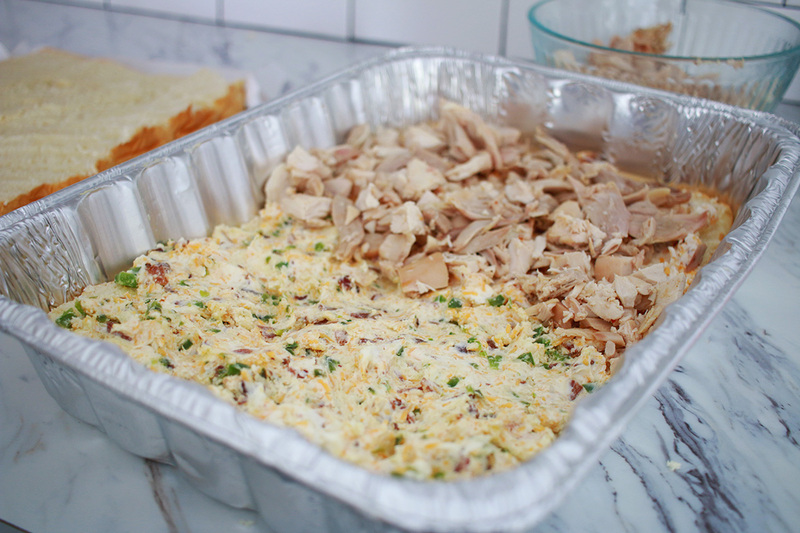 Cover cream cheese mix with rotisserie chicken & then cover with top bread. Melt butter in the microwave for 45 seconds, add in onions, garlic powder & Worcestershire. 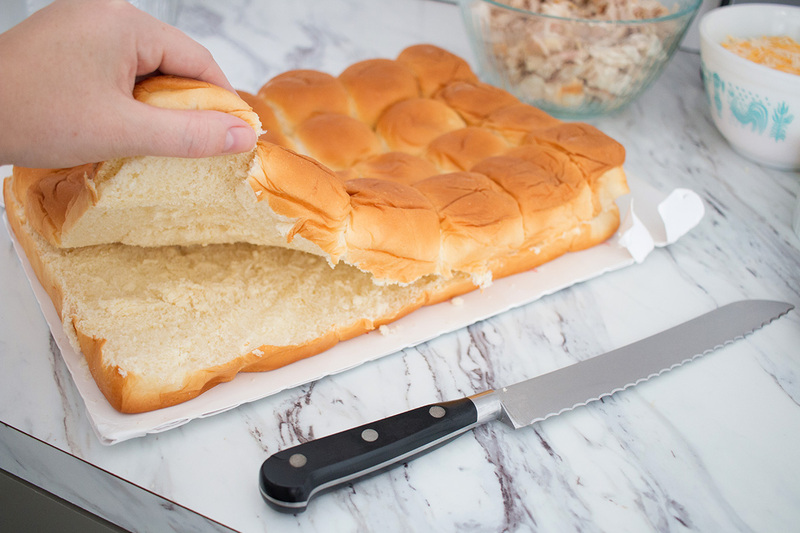 Pour melted butter mix evenly over bread. Put in oven for 25 minutes or until the tops brown & the cheese is gooey. Pull out of oven, let cool & then slice and serve. 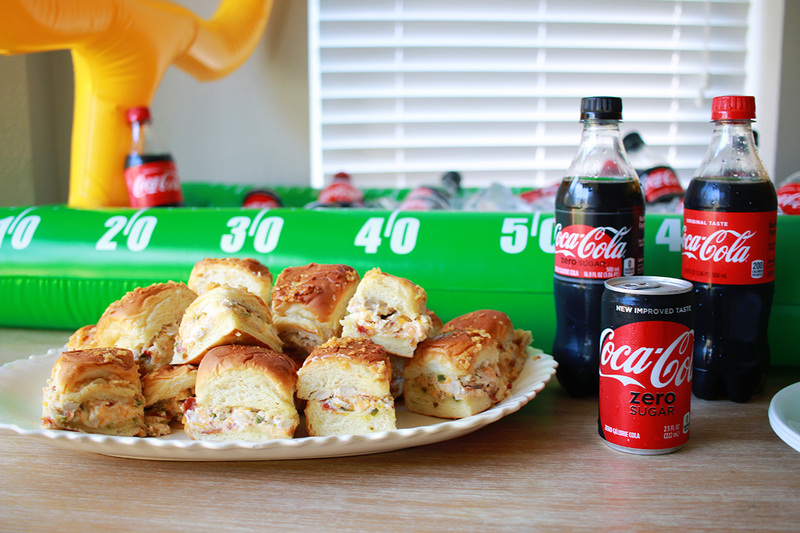 Does anything pair better with a Coca-Cola than football & a few Jalapeño Popper Chicken Sliders? 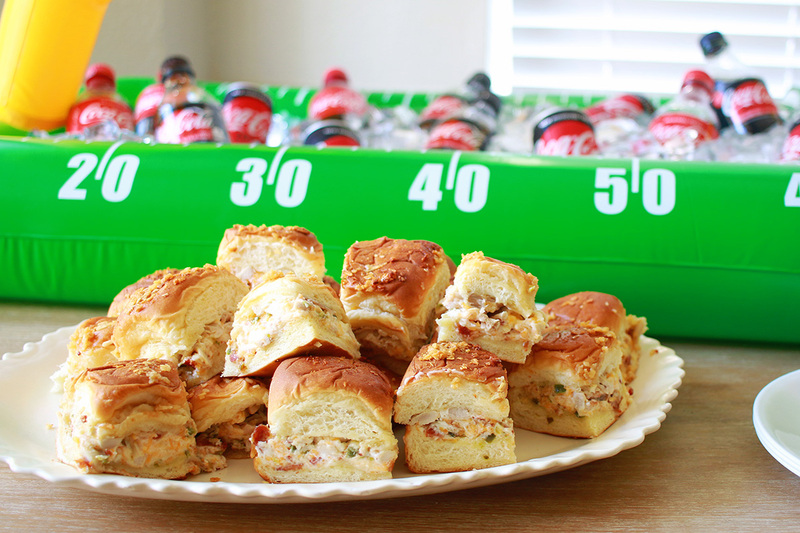 Now wipe the drool from your mouth & head to the store for your game day winners! Show us how you #PlayPauseRefresh for a chance to win a $25 gift card or even a grand prize package including a 55″ television, a sound bar, a TV stick, and a catered viewing party. For more information on how to enter please click here. 1. 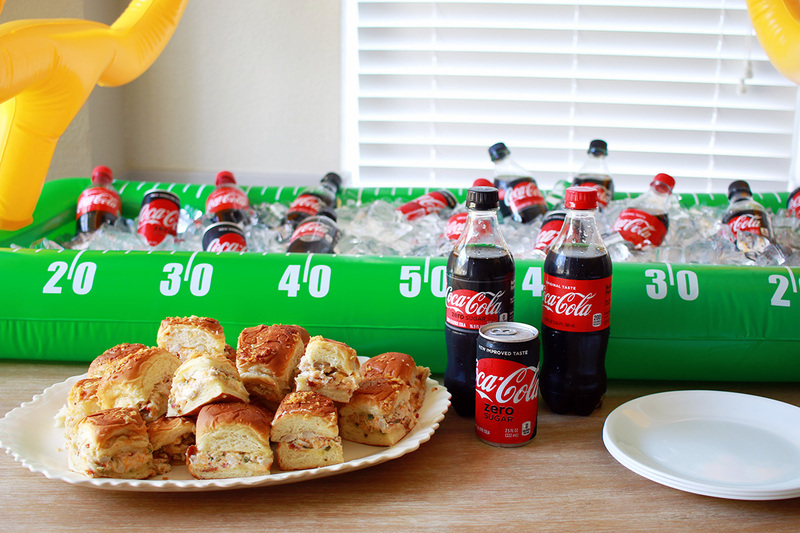 Refresh your night with your favorite snack recipe and an ice-cold Coca-Cola. 2. Share a pic with #PlayPauseRefresh and #Sweepstakes for your chance to win! these look so great. I gotta save this recipe for the next time I have people over! Thanks!